Dr. Sonja Ayeb-Karlsson is a Senior Research Associate at UNU-EHS who researches (im)mobility decisions, migration, health and wellbeing in the context of environmental shocks and climatic changes. She is also a Lecturer in Global Health at BSMS, University of Sussex and part of WG1 and WG2 in the Lancet Countdown of health and climate change. Between the years of 2013 and 2018 she worked in Bangladesh as a project manager in collaboration with ICCCAD and MRF. Her research combined quantitative and qualitative methods such as Q, survey design, storytelling methodology, personal life history interviews and discourse analysis with the aim to further develop anthropological research approaches that support the interaction with people facing climatic stress, while exploring alternative ways to communicate research findings through mediums of photography, visual communication and photo films. Prior to this, she was involved in a community-led initiative in Argentina that focused on the empowerment and human rights of ethnic minority groups in the northern areas of the country. She was selected to represent Stockholm on the national board of the Swedish Association of International Affairs in 2008. While completing her university studies in Brazil, Dr. Ayeb-Karlsson dedicated a considerable amount of time to urban development and educational initiatives in Rio de Janeiro’s favelas. At the Swedish Embassy in Brazil, she was responsible for organizing a seminar on Corporal Punishment of Children with the Ministry of Human Rights and Save the Children Sweden in the Brazilian National Congress in 2011. Discussions following the seminar lead to the agreement of a new article on Corporal Punishment Prohibition in 2014 which made Brazil the largest country in the world to sign such a prohibition. Including Bangladesh, Germany, Argentina and Brazil, Dr. Ayeb-Karlsson has also lived, worked, and studied in England and Australia. She also has extensive international experience, having visited about 65 countries and has spent a large amount of time in South America, as well as South- and Southeast Asia. 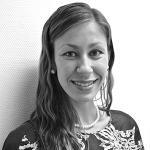 She is fluent in English, Swedish, Spanish and Portuguese with basic language skills in German and Bengali. In 2015 she joined the work of the Lancet Commission and the Lancet Countdown that is tracking the connections between climate change and public health until 2030. She is part of WG1 and WG2, and mainly studies the linkages between climate change, mental health, migration and disasters. She is also the Latin- and South American spokesperson and work closely with the Brazilian partner organizations in São Paulo and Porto Alegre. Dr. Ayeb-Karlsson is well-published, including peer reviewed articles in Ambio, Disasters, Sustainability Science and the Lancet. Her teaching in the areas of Global Health, Geography and Development Studies at BSMS, University of Sussex, and IDS include the following Undergraduate courses: Environmental Management and Sustainable Development (L7003), Disaster, Environment and Development (005DA), Skills and Concepts in Geography I-II (002GR / F8509) and the Postgraduate Master courses Climate Change: Impacts and Adaptation (838F8), and Climate Resilient Development (CRD), at University of Sussex and IDS, as well as the Postgraduate Master courses: Global Health Msc (BSMS), Risk Management in the Context of Climate Change (UM6 / JM9-2) at University of Bonn and UNU-EHS. Her area of expertise is fairly broad and interdisciplinary, and includes: Climate change, health and wellbeing; Development Studies; Disaster (displacement) and mental health; Environmental changes, loss of natural resources and conflict, Limits to adaptation and livelihood resilience; Migration, (im)mobility decision-making, and Trapped Populations; Non-economic losses and damages; Socio-cultural perceptions of risk, identity and gender; Storytelling methodology, life histories and discourse analysis. Kniveton, Dominic, Ayeb-Karlsson, Sonja and Smith, Christopher D., “Environmental migrants, climate ‘refugees’ and sun-seeking expats: capturing the larger context of migration in a changing climate through appropriate and effective behavioural research” in Routledge Handbook of Environmental Displacement and Migration, ed. McLenan, Robert and Gemenne, François ( London: Routledge,2018), 151-160.